You're right there Chek, the starboard heater was a later, perhaps even nearly post-war addition, so no place on a Mk I at least. 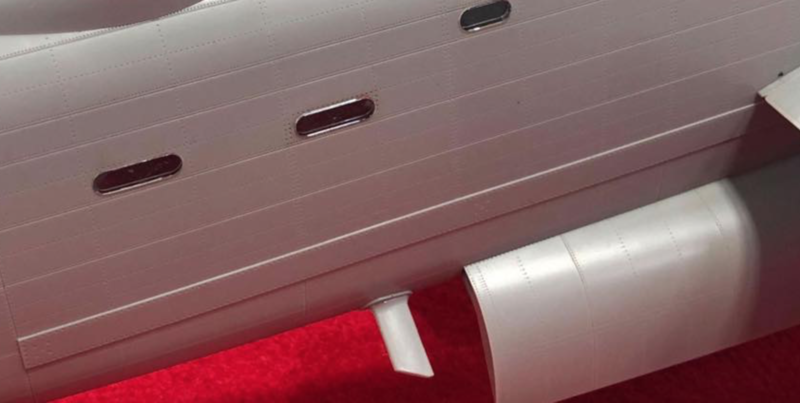 There's another starboard "tube" exiting the fuselage on the most recent shots that I can't explain. No, a bit of research reveals it's the fairlead of one of the positions used for the trailing aerial, on other Lancs it's further forward on the port side, this is George in the AWM. I've just found a picture of a Mk I with it in this position. Kudos to HK! 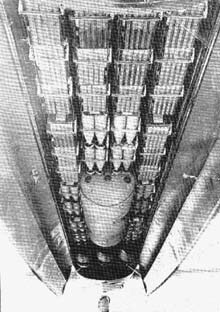 I remembered this great wee film and talking of bombloads a few posts back check out around the 15 minute mark, the 2 bombs in the middle are on a shared rack and check out how they get the last bomb in!!!! I also think it's quite funny how the armourer carefully removes pins from the cookie fuses and it's like he's expecting something as he goes along. 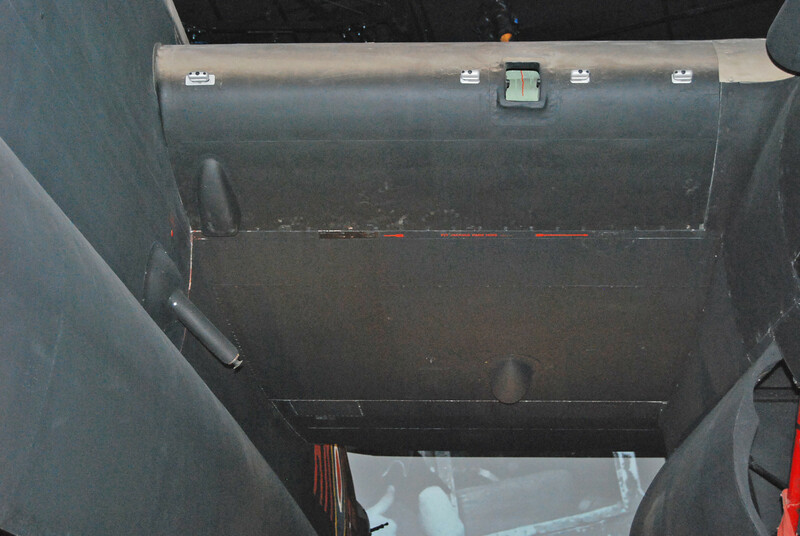 The reason the two middle bombs are lower is that the Lancaster has three bombstations next to each other. 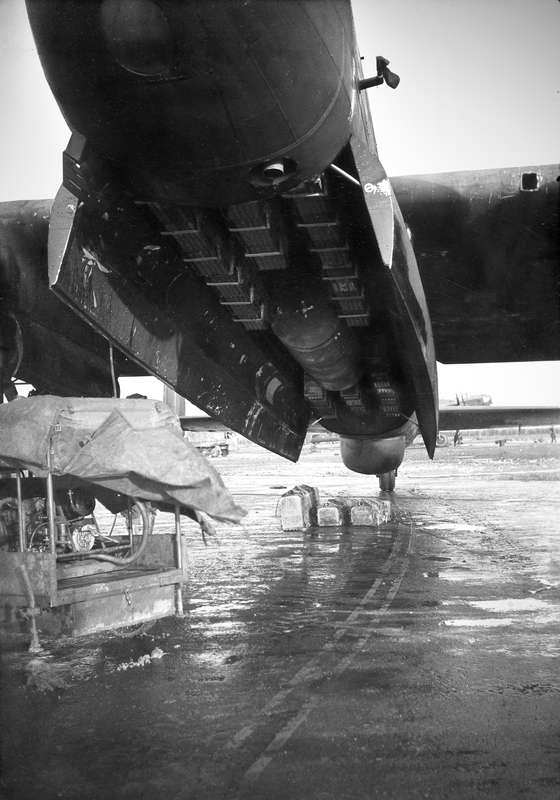 On the middle station they used a twin bomb carrier that could use the existing single pick up point but could be fitted with two bombs. the middle SBCs don't look to be that much lower than the outside ones. is a twin carrier set up too. The SBC's are quite deep so perhaps this is a visual distortion.